Access control pedestals are available as either bolt down onto a foundation base or cast into the ground. Standard single and dual height pedestal suits general access control requirements. 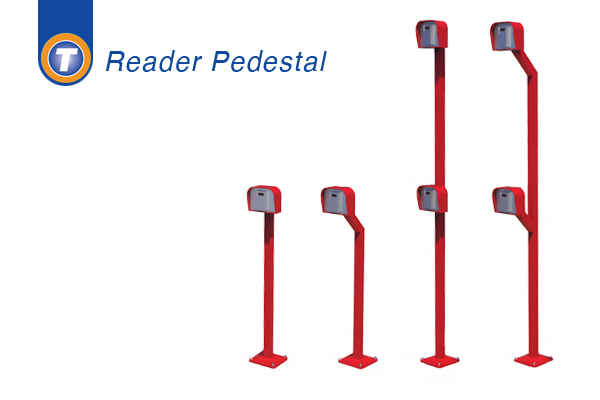 Standard single and dual height “swan neck” reader pedestal suits general access control requirements, protrudes into the road‐way to make easier access to the post. Dual height reader pedestals have two heights for cars and larger vehicles. 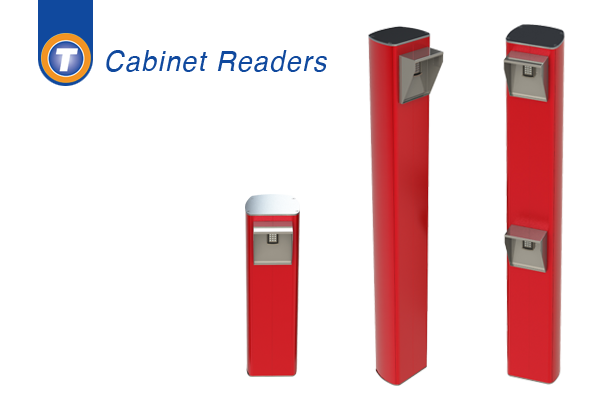 Our reader cabinet pedestals can be custom-made to suit your requirements. We can alter the height/size and colour to suit. The design is sleek, unique and compliments our automatic barrier/gate range. The design of the cabinet can internally accommodate all types of access control equipment, controllers, power supplies or additional cabling which needs to be discreet. Our reader pedestals can be custom-made to suit your requirements. We can alter the height/size and colour to suit. They come in two versions: bolt down on to a plinth or cast-in. When ordering, please specify the option that suits the site it is intended for. Our standard versions shown below, have their own uses /merits as follows.